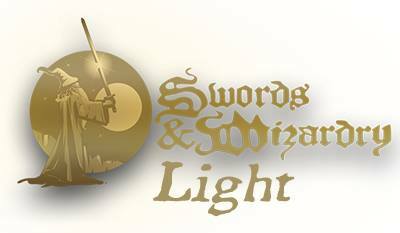 The Goodman Games 3e Sale is packed full of great picks no matter what edition you run (I've used many 3e Goodman releases with Swords &Wizardry, converting on the fly). I know some are looking to stretch their gaming dollar and want to make sure they get some of the best releases for the least amount of cash. I'm going to throw some Goodman Games DCC 3e picks at you hoping for you to the get the best bang for your gaming buck. There are a bunch of affiliate links above. Each buck you spend via The Tavern's affiliate links puts a nickel in The Tavern's coffers. Those nickles can add up and we appreciate every single one. 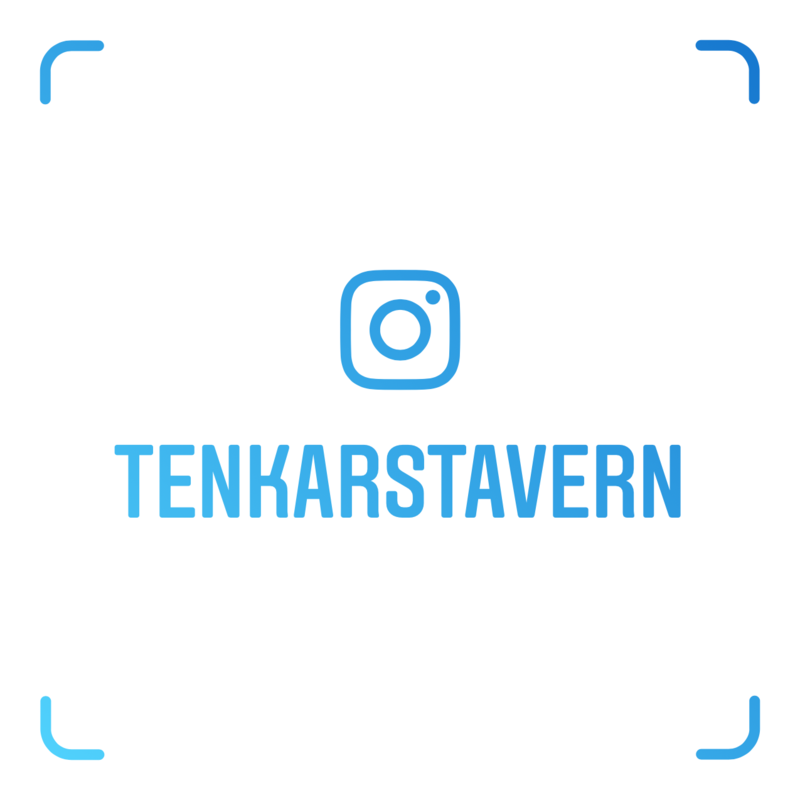 Thank you for supporting The Tavern. Ah, remember this shakedown from December 2017? 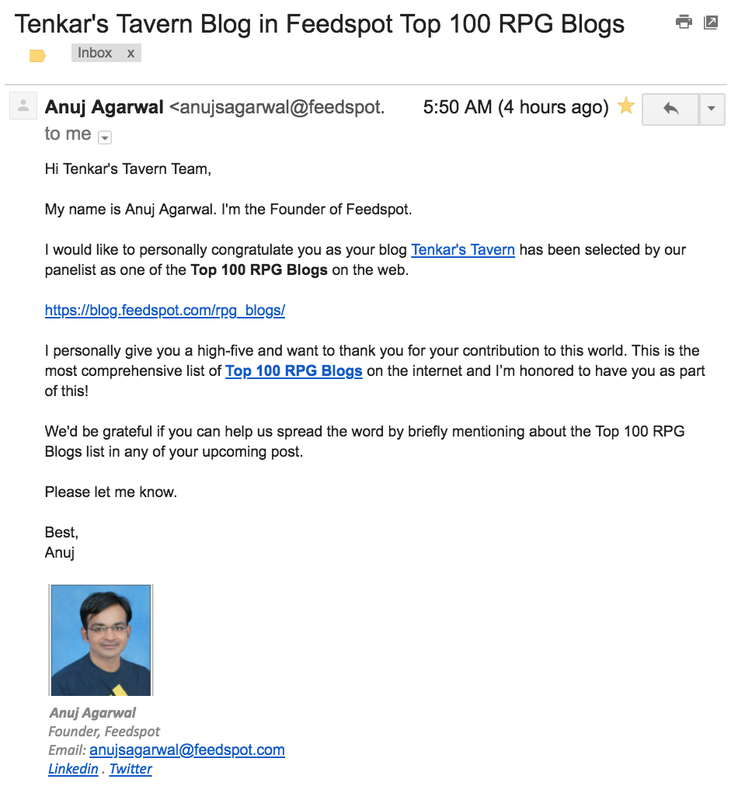 I was being shaken down for a Feedspot subscription if I wanted to be added to the Top 100 RPG Blogs list. Apparently, I am now "legitimately" on this fairly illegitimate list. I never agreed to the shakedown but nearly 5 months later I've made "the list". We're at #25, out of 85 blogs listed (it was 75 blogs in December of 2017) on a Top 100 list. Oh, and they aren't all blogs either. 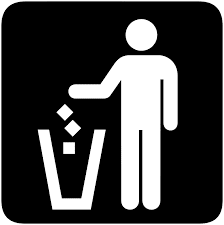 Forums, retail sites, Reddits, Youtube channels... you get the idea. Now, just Old School Blogs, The Tavern has a listing of 81 blogs - why you would anyone need to fill such a list with non-blogs AND still be unable to hit 100 blogs is beyond me. 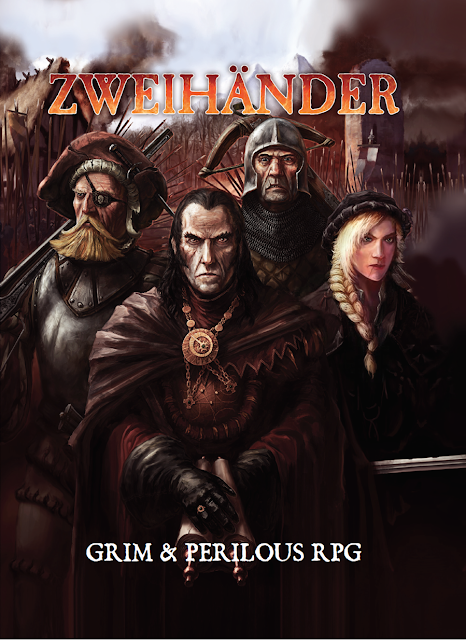 If you are one of the handful of people that have not yet grabbed a copy of the ZWEIHÄNDER Grim & Perilous RPG, here's your chance to get it for three bucks. For the next 12 hours, ZWEIHÄNDER is the Deal of the Day. 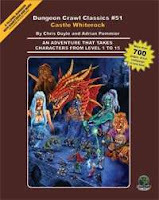 This 692 page, all-in-one game includes most of what you need to play: a character creation guide, game mastery rules and a bestiary brimming with creatures both fair & foul. All that’s left to gather are a few friends, pencils and a handful of dice." That's right, $144 worth of gaming goodness for 20 bucks in the Summer Indie Game Expo Bundle (PDF). What titles are included in the bundle? 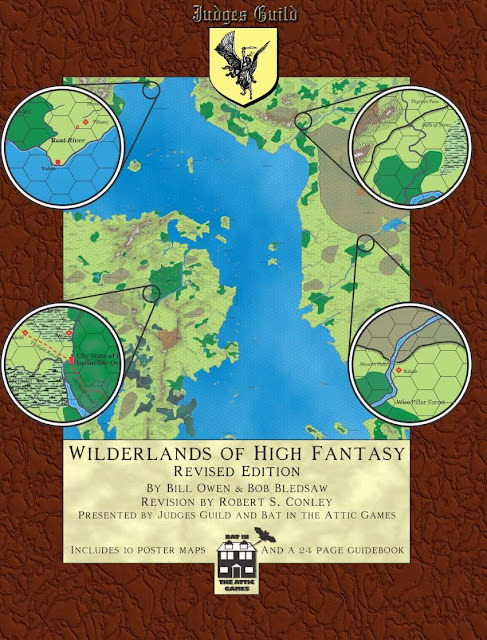 Rob Conley, in association with Judges Guild, has just released the first five maps and guidebook for the Wilderlands of High Fantasy. If you backed the Kickstarter, check your email for a project update with backer links. Now, this release is available in both PDF and Print on Demand. 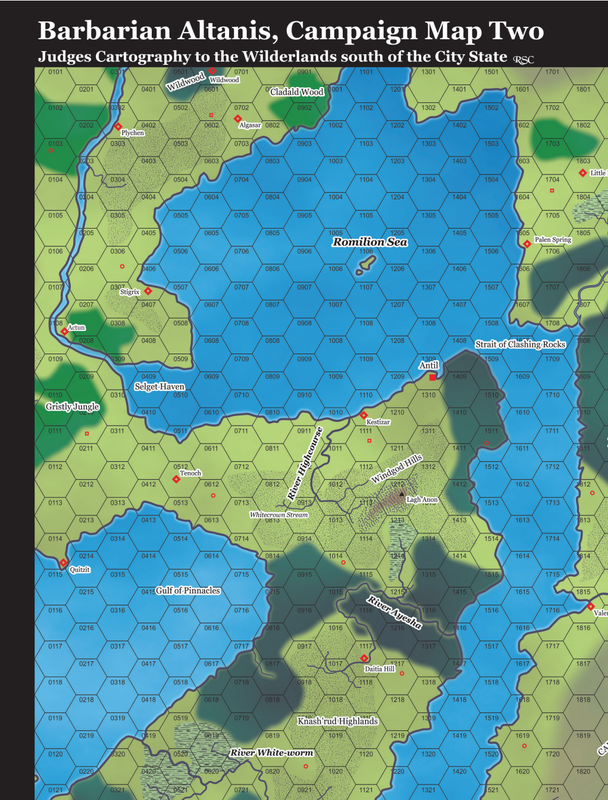 There is a FREE Preview PDF that gives a sample map and some tables from the full releases. 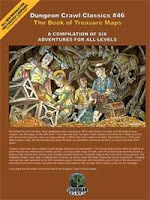 Download the Wilderlands of High Fantasy Preview PDF here. If you do nothing else, snag the preview. It is well worth your time to peruse. Heck, you basically get one of the 5 maps and all the charts to go with it. 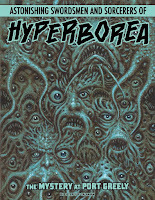 This product contains a 24 page Guidebook for the five maps of the Wilderlands of High Fantasy. 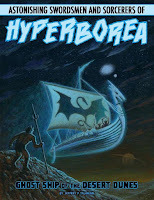 The books has an introduction and commentary by Robert S. Conley who has used the Wilderlands as his main fantasy campaign for nearly forty years. Each map is detailed with the following listings: Villages, Castles & Citadels, Idyllic Isles, Ruins & Relics, and Lurid Lairs. 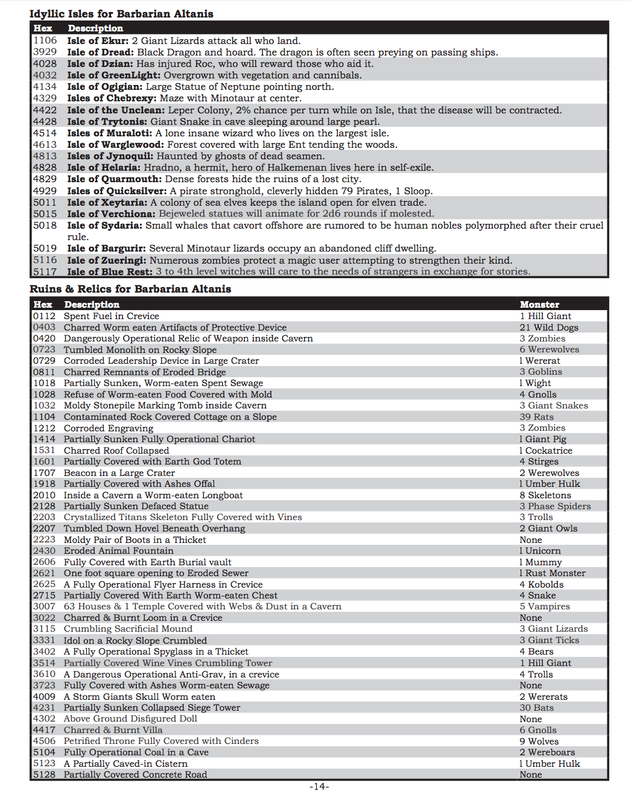 5 PDFs of the following 22" by 17" maps: City State of the Invincible Overlord Map One, Barbarian Altanis Map Two, Glow-Worm Steppes Map Three, Tarantis Map Four, and Valon Map Five. 1 PDF of the Wilderlands of High Fantasy Guidebook. You can read Rob's post at Bat in the Attic here. Those are definitely affiliate links above. If you wish to keep The Tavern going strong while doing what you already do, please use our affiliate links prior to shopping at RPGNow and the rest of the OneBookShelf sister sites. It really does mean a lot and I thank you. 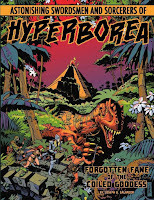 I saw this mentioned on the Gamers & Grognards blog and I thought I'd share it, as its rare to see print products at OneBookShelf get discounted. 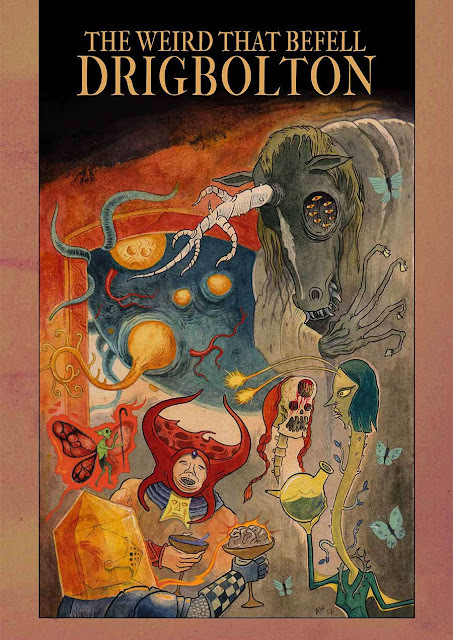 The Everything Dolmenwood Bundle gives you The Weird That Befell Drigbolton and 8 issues of Wormskin, in print and PDF, for $53.91. Now, although the bundle counts the PDFs as having extra value and claims a discount from a total value of $123.42, the PDFs are included in the price of print copies purchased individually. What you ARE looking at is a discount of a little more than 25% (if my mental math is right) on the print + PDF price and that is a HUGE discount none the less. 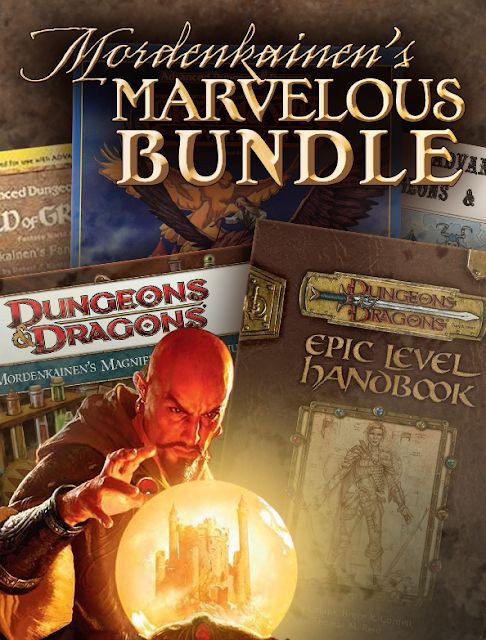 If all you want from the Everything Dolemwood Bundle is the PDFs, the discount is 40%. I've really enjoyed the handful of Wormskins I've gotten my hands on and this offer is damn tempting. Aye, that's an affiliate link above. Keep the taps flowing and the lights on at The Tavern when you shop using The Tavern's affiliate links. What can I say - I look like a goof. But heh, most of my readers already knew that. In any case, go watch the video and subscribe to Vince's Youtube channel. 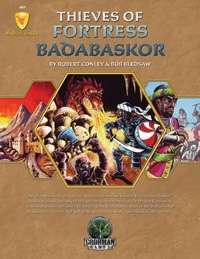 To go along with yesterday's Bundle of Holding Post (KotDT) we now share with you the HackMaster 5e Bundle of Holding. 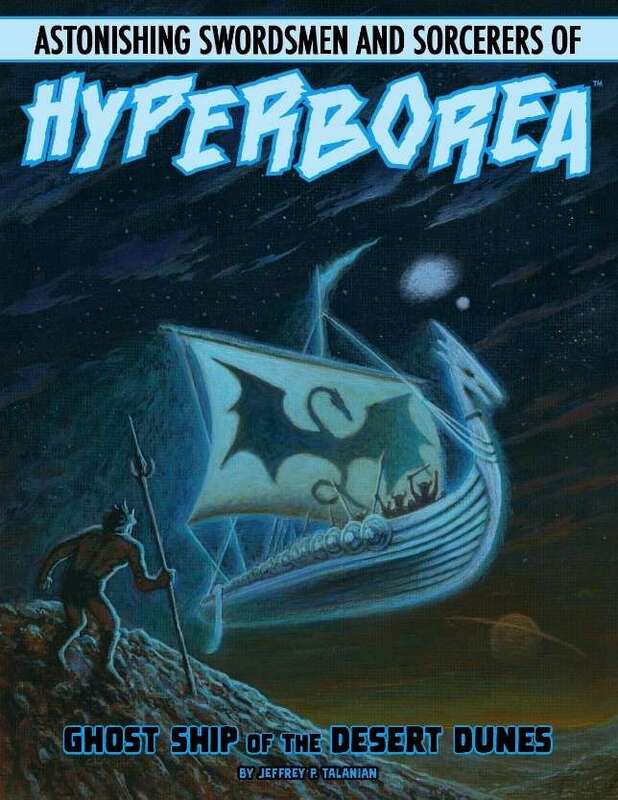 HM 4e was the AD&D 2e riff that was a fun reimagining. 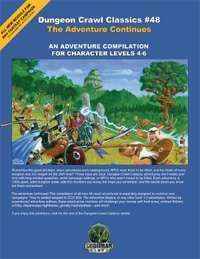 (read the Wikipedia article for the history of how Hackmaster came to be) I dont have much experience with HackMaster 5e. $12.95 gets you in the door. About $28 bucks gets you the rest of the collection. 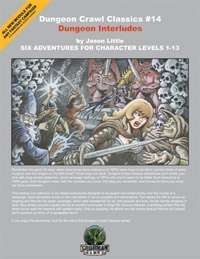 Somewhere I have a print copy of HM Basic (the first 5 levels of HM 5e) but again, I don't have experience with the system. At times like this, I remember about the large stack of unread copies of Knights of the Dinner Table I have waiting to be read. 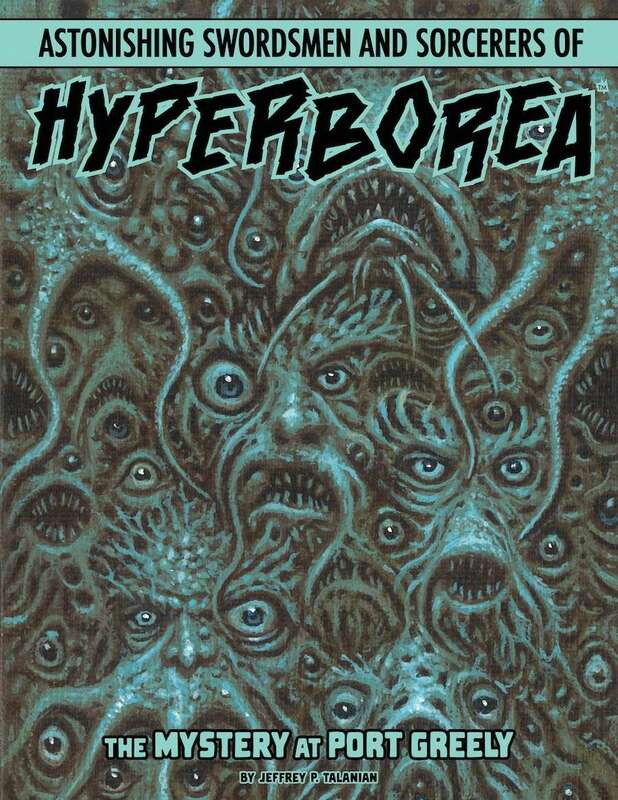 That being said, I love the early issues and the convenience of PDFs that can be read in bed on my tablet is certainly tempting me. "Hoody-hoo! This all-new Knights of the Dinner Bundle brings you PDF e-comics featuring the longest-running and most successful comic strip in tabletop roleplaying game history, Knights of the Dinner Table by Jolly Blackburn. This bargain-priced offer from Kenzer and Company gives you literally thousands of pages from KoDT's entire 28-year-run. In every issue, the players in B. A. Felton's HackMaster campaign find so many devious new ways to torment their Gamemaster, you'll say "They're just like my players!" 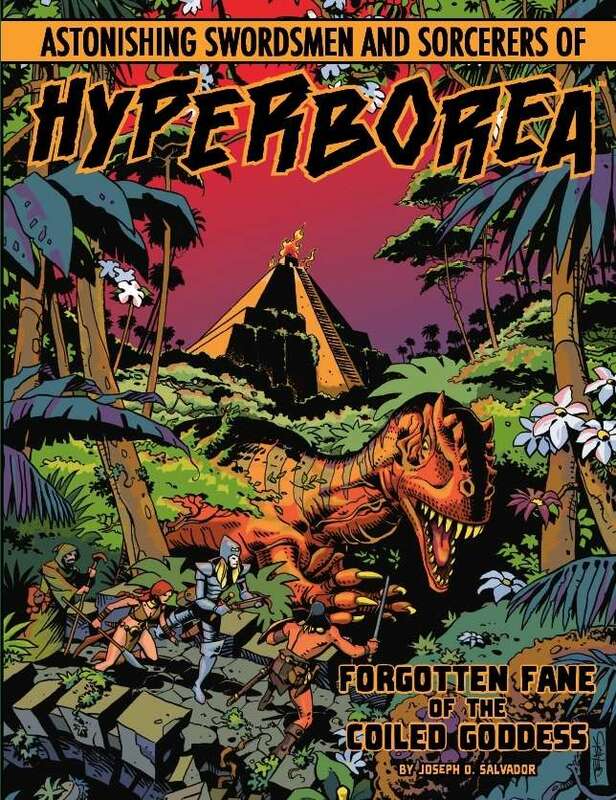 For just US$9.95 you get all nine comics collections in this offer's Starter Collection (retail value $86) as DRM-free .PDF comics, including the first five KoDT Bundle of Trouble compilations (reprinting KoDT issues #1-15), all three Tales from the Vault collections of scarce early strips, and the first volume of The CattlePunk Chronicles, Outlaw Trail. And if you pay more than this offer's threshold price of $20.85, you'll level up and also get this offer's entire Bonus Collection with eight more titles worth an additional $85, including KoDT Bundle of Trouble Volumes 6 through 10 (collecting KoDT issues #16-30); the second CattlePunk Chronicles collection, Four Herdsmen of the Apocalypse; and two standalone books, Men That Hack and The Java Joint." 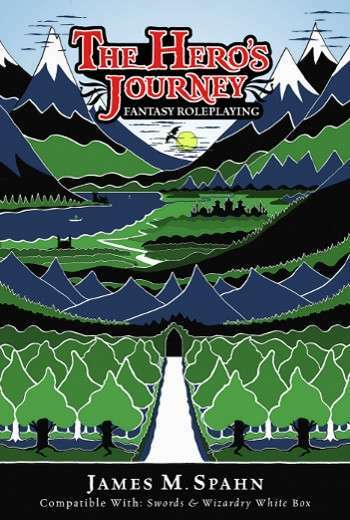 Time to start sharing some picks for RPGNow's May D&D Sale. 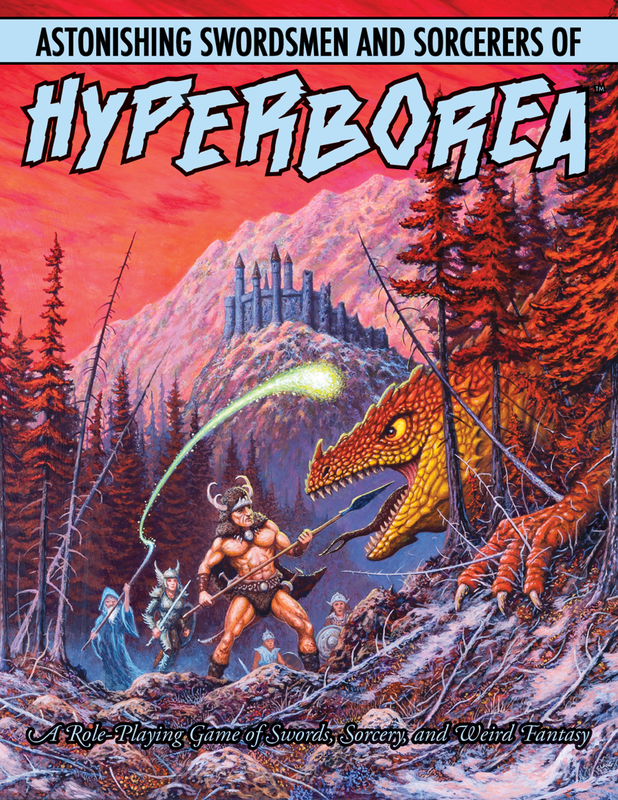 For the second round of picks, we going to look at some Astonishing Swordsmen & Sorcerers of Hyperborea releases from North Wind Adventures. 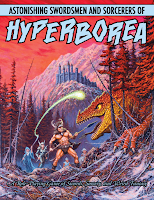 Note: All of the adventures listed below are "designed for Astonishing Swordsmen & Sorcerers of Hyperborea™ (AS&SH™), a role-playing game descended from the original 1974 fantasy wargame and miniatures campaign rules as conceived by E. Gary Gygax and Dave Arneson. Therefore, AS&SH is compatible with most traditional fantasy role-playing games (c. 1974 to 1999) and their modern simulacra, such as OSRIC™ and Swords & Wizardry™. So, what's the main takeaway? The WHO has said it will include "gaming disorder" in a June update to its International Classification of Diseases (ICD), defining it as a pattern of behavior "characterized by impaired control over gaming, increasing priority given to gaming over other activities to the extent that gaming takes precedence over other interests and daily activities, and continuation or escalation of gaming despite the occurrence of negative consequences." A CAMH study released in 2016 estimated 13 percent of Ontario students-or almost 123,000 kids-have experienced symptoms of a "video gaming problem," which was up from nine percent in 2007. 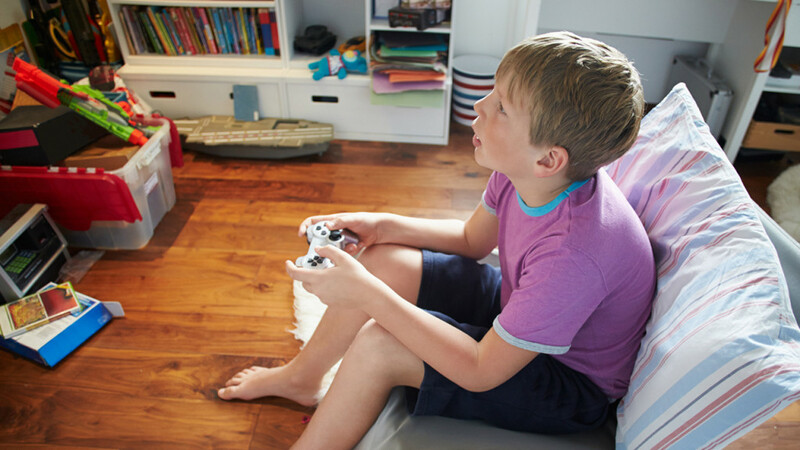 About one in five boys reported having "problematic symptoms" linked to their video gaming. I wonder when table-top roleplaying games come into play? Mordenkainen's Marvelous Bundle is really hit or miss in my opinion, and I was on the fence about whether or not to mention it. Wow. I hate to say it, but if you are going to run a successful Kickstarter that is a joke (mostly? ), Orc Stabber! has hit gold. $20 goal. $1115 raised thus far with over three weeks left to fund. A video that is entertaining to watch. Hi Folks, Liam Ginty and Gabriel Komisar here. 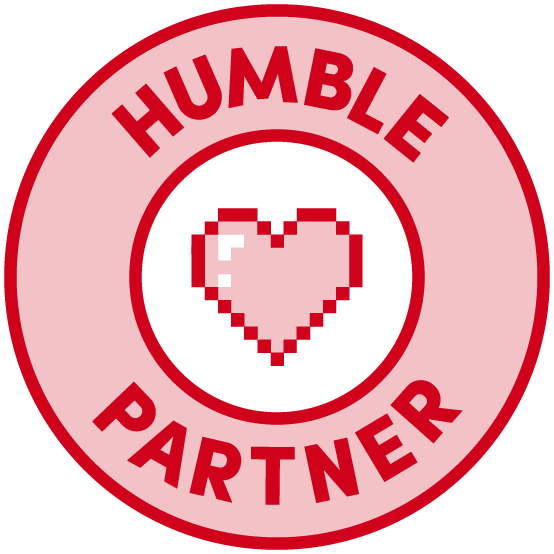 We're the designers behind Orc Stabber and will be working to deliver this project to you all. There's a handful of small risks and challenges and we thought it best to address these out of character, as Limm Ghomizar can get a bit excited. First of all, we wanted to communicate that you do indeed only get half of a rules page with this project. We'll be preparing each page separately, personalizing them with drawings, doodles, notes special unique rules, and tearing them all separately. We think this might be a fun way to get people sharing what they have with their friends and on social media to make the full rules available. We plan on releasing the full PDF shortly after the project wraps so everyone will have the full rules. The only other challenge is no one on the team has ever mailed out 100+ letters all at once, but we're consulting with other successful Kickstarter runners to make sure those important deliverables are in your hands quickly! Screw it! For two bucks, I'm in! Let me just say, the above gif from the Augmented Reality & Dragons Kickstarter is inspiring. It makes me WANT to play like this at my table. But I don't think it does. What I mean is, for this to work, you'll need to be viewing your physical table via your iOS or Android device. That's more distracting than anything else. Exciting concept. I don't think the current implementation is feasible. Cubicle 7 opened preorders for the Warhammer Fantasy Roleplay 4e rules on May 3rd. Dead tree plus PDF is 60 bucks American. "Warhammer Fantasy Roleplay takes you back to the Old World. 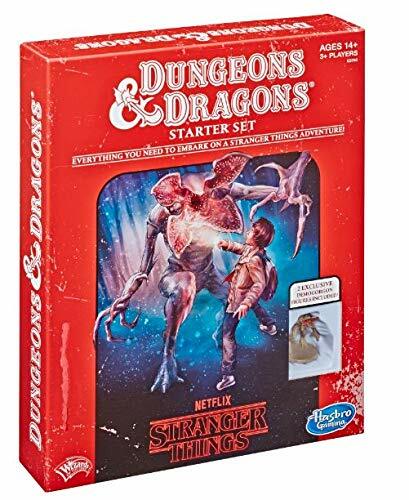 Get the gang together, create your (anti)heroes, and set off to make your way through the vile corruption, scheming plotters and terrifying creatures intent on destruction. 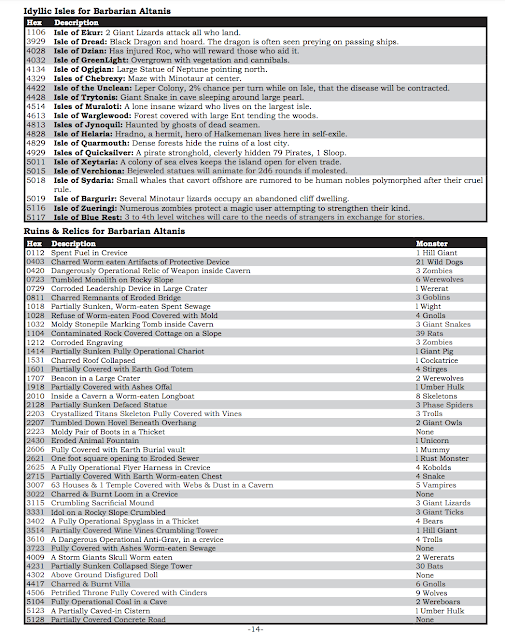 The Warhammer Fantasy Roleplay Rulebook contains everything you need for grim and perilous roleplaying adventures in the Old World. 320 pages, hard cover, full colour"
The boxed WFRP Starter Set is 30 bucks. 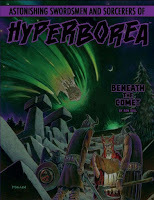 PDF releases in August, box ships in September. "This boxed set includes an introductory scenario designed to teach you how to play, beautiful character portfolios, a guide to the town of Ubersreik and two ten-sided dice." 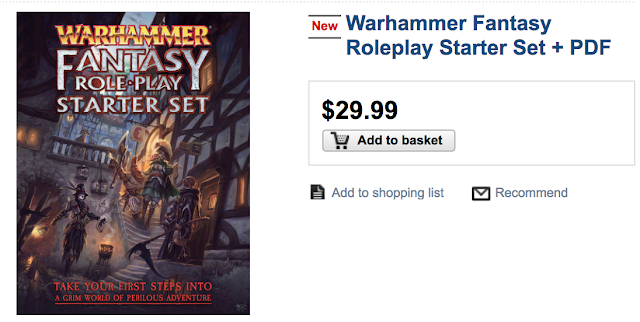 If you have money to burn: The Warhammer Fantasy Roleplay Fourth Edition Collector’s Limited Edition Rulebook + PDF is 120 bucks. "The Collector’s Limited Edition comes presented in a beautiful, magnet-sealed box. The cover of the rulebook is leather-effect, embossed with a gorgeous Warhammer sigil.The pages are gilt-edged, and the book comes complete with cloth bookmarks. Included in the box is a numbered Certificate of Authenticity. This a must for any Warhammer collector!"